Born and raised in the Pacific Northwest, Todd Neiss couldn't avoid hearing about the legend of Bigfoot, but he had relegated it to folklore, Native American story telling, or simply a scary campfire story. Never had he considered the legend to be true. That all changed for him when, while conducting explosives training with the military in 1993, he came face to face with three of these amazing beasts. That single, life-altering event compelled Neiss to devote his life to Bigfoot research. For nearly 19 years, he has investigated numerous encounters and conducted nine major expeditions with the goal of collecting irrefutable evidence as to the existence of these reclusive creatures. 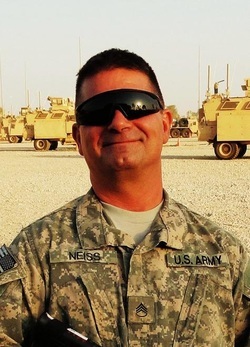 Neiss has been featured in over 18 television programs and documentaries (including the Discovery Channel and Unsolved Mysteries) as well as having made numerous public appearances in an effort to bring attention to the plight of these incredible animals with the hope of enacting protection for their species. 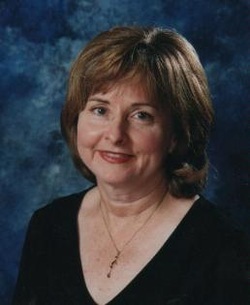 Linda S. Godfrey is an author and researcher of the strange and uncanny, and is especially well known as an authority on the upright canine known in Wisconsin as the Beast of Bray Road, in Michigan as the Dog Man, in other places as Skinwalker, werewolf or a dozen other names. She appeared in, co-wrote and co-produced the History Channel's Monsterquest episode, "American Werewolf," based on her book "Hunting the American Werewolf" and also appeared in the show's season 4 finale. She has canvassed Wis. and Michigan looking for the strange and offbeat, from outsider artists and giant roadside statues to local cemetery lore, eccentric people and history, to ghost stories and unidentified creatures and UFO's. She put over 5,000 miles on her "weirdmobile" and found enough strangeness to fill both Weird Michigan and Weird Wisconsin for Barnes & Noble in 2006, and the sequels, Strange Michigan and Strange Wisconsin for Trails Books. Billy Willard is president of an environmental consulting firm and has an education in environmental science. He oversees various types of environmental assessment and cleanup projects (e.g., leaking underground petroleum tanks, environmental site assessments, and soil/groundwater remediation) and has been in this profession for over 18 years. Billy is an OSHA HAZWOPER Supervisor and holds many other credentials. Billy became interested in the Bigfoot phenomena early in life as a kid after watching such movies as the Legend of Boggy Creek and the Creature From Black Lake. In 2005, Billy and his son’s Josh and Tim formed Sasquatch Watch of Virginia. 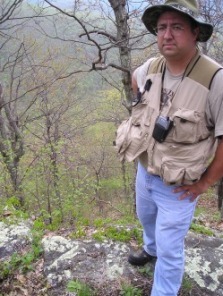 Billy is currently director of Sasquatch Watch of Virginia. Billy used to host an internet radio program every Monday night on the Blogtalk Radio Network called Sasquatch Watch Radio. Each week he had guests from around the world that included Bigfoot researchers and eyewitnesses. The shows are archived and available for listening. From time to time, Sasquatch Watch Radio will air special edition shows in the future. Billy has been a speaker at many conferences, those which include the Ohio Bigfoot Conference, the East Coast Bigfoot Conference, the Chautauqua Lake Bigfoot Expo, Cabela’s “Strange, Rare and Unusual Sightings”, Creature Weekend and numerous other events in the State of Virginia. 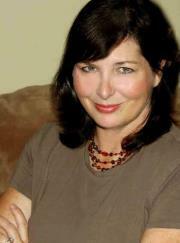 Billy has investigated many sighting locations and interviewed many eyewitnesses since 2005. Billy has also logged many hours in field research. Billy can be reached at www.SasquatchWatch.org, by email at billy.willard@gmail.com, or at the Sasquatch Watch of Virginia Hotline at (703) 445-4287. 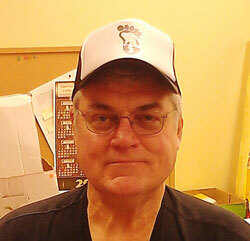 Working for the Guernsey County Library for over 20 years has given Doug Waller plenty of opportunities to access and read well over one hundred books on the subject of Bigfoot. Doug became interested in the creatures during the early 70's when the Missouri Monster or "Momo" was covered in newspapers across the country. Doug and a co-worker began to research in January of 2006 and they concentrate their efforts in and around Salt Fork State Park, Guernsey and Coshocton counties. In 2008, Doug and three friends founded the Southeastern Ohio Society for Bigfoot Investigation or "SOSBI". The club has become very popular with an average of 40 or more attending the meetings every other month, with local as well as out-of-state members in attendance. SOSBI is a very active group made up of Bigfoot researchers, investigators, witnesses and others who are just interested in the hairy giant. They have been featured in newspaper articles and TV news stories. Several speaking engagements are scheduled for this year and Mr. Waller will be releasing his first book as well. Doug lives in Norwich, Ohio with his wife Judy and four cats. He can be reached at dwaller465@gmail.com or on his Facebook page. He can also be reached on the Facebook page of the Southeastern Ohio Society for Bigfoot Investigation.